The company, founded by Oscar Font in 2010, is dedicated to providing full service and advice to football players. We place our experience and knowledge at the players’ disposal, so that they can develop their careers. We are a young and enthusiastic team with vast experience in this sector and our dream is to grow along with the players, at both a professional and personal level. We offer solutions within all frameworks, in order to optimise the football players’ careers, so that they can focus all their attention on the sport side. We manage all the stages of players’ lives, from the time they start, at the early stages of football, through to the professional stage and finally when their careers come to an end. Our goal is to be the best travelling companion that a football player can have and to be someone whom they can trust. Bachelor’s degree in Economy from Universidad de Barcelona and former 3rd Division and 2nd Division B football player. After four years of developing his professional career in the banking industry, he decided to change jobs and join the world of footballer representation. 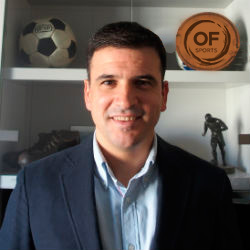 His first experience was in 2002, in a company called Promoesport BCN, as head of the international department, specialising in the Brazilian, Portuguese and French markets. In 2007, he worked at IMG, as director of the international department, managing the Brazilian, Portuguese, French, Dutch and Belgian markets, and others. During those years, he participated in important transfer operations such as Diarra from Olympique Lyonnais to Real Madrid; Diego Alves from Club Atlético Mineiro to Almeria, Felipe Melo from Cruzeiro to RCD Mallorca and Jônatas from Flamengo to RCD Espanyol. In 2010 he founded his own company, specialising in providing advice to footballers, and since then he has dealt with a series of professional player transfers in both the domestic and overseas markets. Bachelor’s Degree in Law from Universidad de Barcelona and a former 3rd Division and 2nd Division B football player. For four years, he combined being a football player and practising law, until he decided to join IMG in 2007. For more than five years, he was responsible for the youth football area in Catalonia and played a part in the growth of young talents, such as Iago Falque, Jordi Amat, Isco Alarcón and Diego Mariño. Likewise, he also provided support to professional players, such as Albert Jorquera, Carlos Kameni, Bojan Krkic and Gerard Pique. In 2012, he joined the company, where he took on the duties of scouting, talent spotting, attracting players and career advice and management. 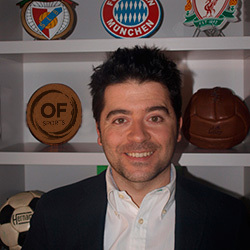 He is experienced in youth football and has wide experience in dealing with young players and the difficulties that they go through at the beginning of their careers (combining the sport with their studies, their personal lives, growth in the sport…) as well as their transition into becoming professional players, which involves completely different needs from the training stage. Technician specializing in football, UEFA PRO and a former 3rd Division and 2nd Division B football player. During the years 1998-2010 he coached teams CIDARF-Cubelles entity combining it with the role of specialist technical area. In 1999 he began working as a specialist in the area of ​​collective and tactical play guided by Alex Sans Torrelles. In 2011 he is assigned coach U16 National Team Regional Penedès-Garraf belonging to the Catalan Football Federation combined with the company Soccer Services and technical department individualized training, designing and implementing training to improve understanding of the game with players of varying ages and nations (Japan, USA, Poland, Russia, South Africa and the Philippines) and Professional players from Monaco and Lens (France), Kawasaki Frontale and Visel Kobe (Japan) and Pachuca (Mexico). In 2015 he joined the company as a technical advisor players. 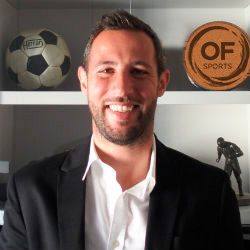 He studied Journalism at the Ramon Llull University and his career path developed mainly in the world of football. In 1996 he joined Cadena COPE and, four years later, he was entrusted with monitoring the day-to-day events at RCD Espanyol, a responsibility that he has had for the past seven years. He has covered two Spanish Cup finals and one UEFA Cup final. In the summer of 2007, he editor in charge of monitoring sports information about FC Barcelona. During this stage, he travelled with the Barcelona team on all of their away games and attended several events, including a Champions final, a Spanish Cup and a UEFA Super Cup. In July of 2010, he signed contract with Cadena SER, where he is again commissioned to handle the RCD Espanyol sporting events for a further two seasons. 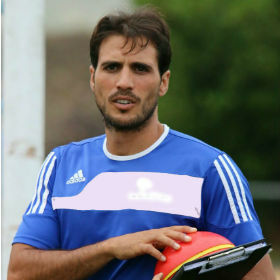 He has also worked with Adidas and LFP. In November 2013, he joined the company as head of the department of media and communication, with particular focus on image and media advice and management.